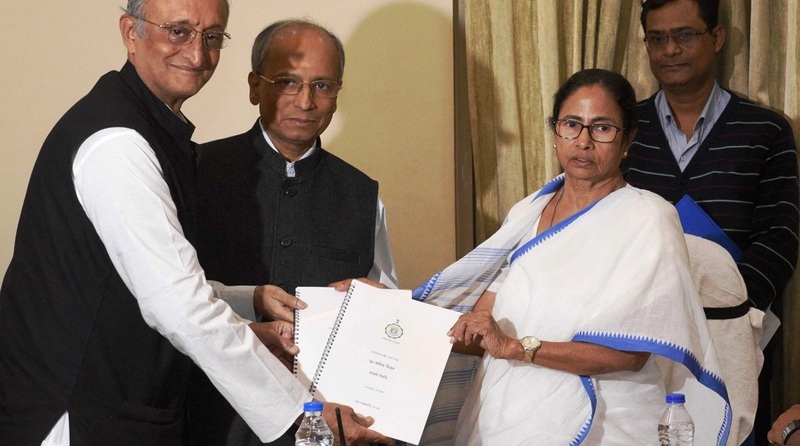 The West Bengal budget for 2019-20 was regretfully overshadowed by the confrontation between the Central Bureau of Investigation and the Kolkata Police, not to ignore the dharna by the Chief Minister with the police brass in tow. The street protest kept Mamata Banerjee away from the Assembly on budget day; the absence is in itself without parallel. The critical document deserved better than being approved by the roadside at Esplanade. In comparison to previous years ~ specifically since 2011 ~ the exercise has been both the same and different. Far from an essay towards mobilization of resources in the face of a torpid economy, there appears to be a competitive exercise in pop economics. In the manner of Piyush Goyal’s Union budget presented on February 1, Monday’s proposals advanced by Amit Mitra are riveted to sops for the unemployed youth, contractual workers, and the Asha and Anganwadi workers. It thus comes about that the saccharine assurance of a Rs 1000-crore handout for the state’s small and marginal farmers comes three days after the Centre promised a Rs 20,000-crore direct cash transfer to the agricultural segment which languishes in dire distress. Mr Mitra has underlined that nine lakh jobs were created last year; yet there is no indication of the proposed employment generation this fiscal. Financial assistance of Rs one lakh a year will be provided to 50,000 unemployed youth; the beneficiaries are but a fraction of the state’s jobless. While the identification remains indeterminate, there is scarcely any indication of how Mr Mitra’s bailout package for the agrarian sector and the jobless will be financed. Details of what the state’s finance minister calls the “selection criteria” ~ a fundamental in the proposed paradigm ~ have been left delightfully vague save the indication that a separate department will carry out the task. It is a safe guess that hundreds of thousands will be excluded from the Mitra matrix. Prudence would have suggested a dramatic improvement in the Anganwadi and Asha sectors and the decrepit primary healthcare in the wider canvas. Only one aspect of the issue has been addressed with the hike in honorarium for 210,000 Anganwadi workers and 50,000 Asha staff. Rather than streamlining the social service sector as the basic index of welfare, Mr Mitra appears to have played to the employees’ gallery. That said, he might have left the behemoth ~ and underworked state staff ~ a mite disappointed with no indication of the implementation of the 6th Pay Commission recommendations. In the overall construct, the critical indices of development, notably school education, public health, civic affairs, panchayat and rural development have been accorded a relatively minor rating in terms of allocations. Aside from the sectoral benefits, West Bengal is likely to remain on the cusp of a stuttering economy… the glitzy New Town notwithstanding.